Buckle up, grab a cuppa. This is a long one and there is a load of photos, too! Anywhoozle, April's Ipsy bag was a mixed bag as far as my satisfaction level was concerned. Still a good one but not the delight my first Ipsy Bag was. I know that not every bag is going to be a full on home run. That is half the fun of the whole thing... Surprises and delights and yes... Disappointments, too. For the price, I am happy to take the chance! The Ipsy Glam Bag subscription is only ten dollars a month and, in my opinion is well worth it. Let's take a gander at what arrived in my April Ipsy bag, shall we? The theme is Beauty Rocks. The bag... Okay kids. Now I know where the stinky complaints come from. I pulled this baby out of my little pink bubble mailer and gave it a sniff and. WOW! Holy odoriferous off gassing, Batman! It is a dark blue vinyl zip top bag with grey graphics. Meh. Kiss Lashes. These are their Looks So Natural Feather Light lashes. One full sized pair. Benefit lolli tint. Sample sized in Candy-Orchid. City Color White Gold Shadow and Highlight Mousse. Full size. 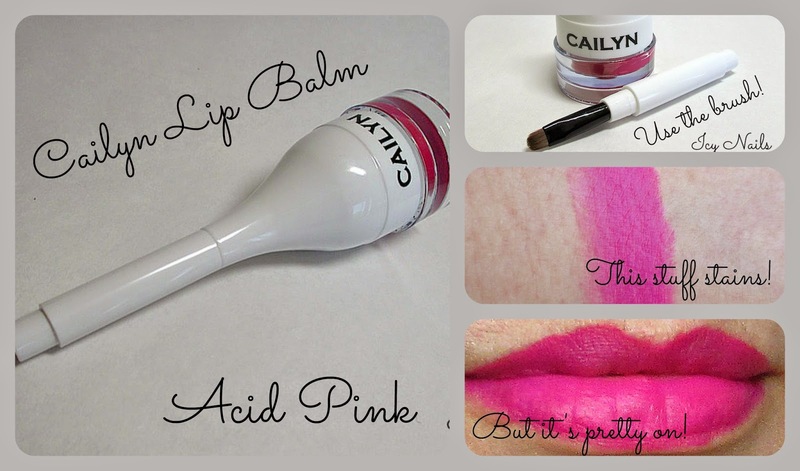 Cailyn Tinted Lip Balm in Acid Pink. This is full size. Urban Decay 24/7 Velvet Glide On Eye Pencil in Black Velvet. Travel size. Kiss Lashes. Available in Walgreen's and other retailers where Kiss Brand is sold. Price varies by store. These look so pretty and natural, for false lashes. I haven't used these yet. I keep forgetting to pick up lash glue (my old tube dried out), I don't trust the glue in the package. I have sensitive eyes and I don't want to risk irritation. I prefer to use lash glue that I know works for my peepers. Based on how pretty they are in the package, I would buy more of these lashes. I like the tapered tips and the lightweight, more natural look. Drama but not an opera. Just the way I like my false lashes. Benefit lolli tint lip and cheek stain in Candy-Orchid. I received a sample. The full size is .42 ounces and retails for $30.00. You can find it at Ulta, Sephora, their online sites and wherever Benefit cosmetics are sold. I am not overly impressed with this product. The colour is beautiful but the texture, which starts out lovely and smooth dries and gets sticky. It stains like a mofo. I don't mind staining on my lips but on my skin? I don't like. This stuff isn't impressively pigmented, either. The swipe swatch is a pile of the product. As you can see, the place where I laid down a dot, just before blending it out for the blended swatch stained in the couple of seconds it sat there. The blended swatch is two coats! It's nearly invisible. *grumble* I wouldn't purchase the full size. Nope. No way. Next is City Color White Gold Eye Shadow and Highlight Mousse. Full size is $3.99. I received a full size. The website calls this an eye shadow and face highlight mousse. It has a soft, whipped texture that blends down smoothly. This mousse shadow/highlighter is supposed to be used on the eyes and the face. 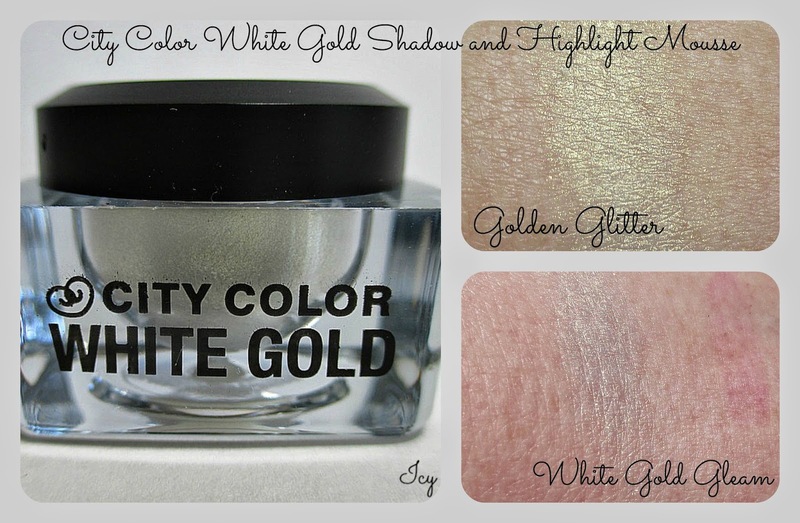 It has a strong glittery golden to white gold gleam shift and as much as I love shimmer, even a hint of glitter, this one is a bit much for me for day to day use. It might be fun for a party, tho. I'll keep it around a while and see if I make use of it. Cailyn Tinted Lip Balm in Acid Pink. $19.00. I received a full size. This product will be available for sale on their website in June, 2014. This lip product is billed as a tinted lip balm. It claims to moisturize lips while delivering intense colour. Please click the link to read all of their claims of benefits. This lippie is intensely pigmented and is more of a stain than a balm, in my experience and opinion. It is beautiful but I didn't find it to be moisturizing, in the least. The packaging contains a little brush that is housed in the cap. I strongly suggest that you use the brush! This stuff will stain anything it touches, including skin outside the lip line, fingers... I applied by drawing a precise line around my lips then filling in very carefully. I applied two light coats for this swatch. I love the colour. I am not so sure how I feel about it not being so comfortable. I need to try it with a clear gloss or balm over, see if I like it better. 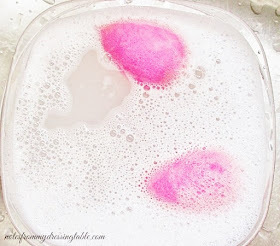 This balm makes a great base for Radiant Orchid lips! After I swatched the Cailyn Tinted Lip Balm on my lips, I grabbed a NYX Butter Gloss in Merengue, slicked it on over and, ermagherd! Radiant Orchid lips! Finally, we have Urban Decay 24/7 Velvet Glide On Eye Pencil in Black Velvet. I received a travel size. The full size is $20.00. You can find it at Sephora, Ulta, the Urban Decay website... This is a matte, deep black liner pencil. This is a gorgeous liner. It is smooth, easy to apply, once it sets, it stays in place all day, for me and the deep black, matte finish is perfect with a smokey eye. Delicious. Even tho this bag wasn't a full on home run for me, personally, it is still completely worth the price, in my opinion. I am definitely continuing with my subscription and I recommend that if you are in the mood to try a beauty subscription, that you try Ipsy! It is affordable and a whole lot of fun. If you would like to sign up, here is my link. If you sign up through my link, I receive points that I can apply toward future goody purchases. After you sign up, you can share your link so that others can help you amass points. If you would like to sign up without using my link, simply go to ipsy dot com. I am perfectly happy, either way. What do you think of Ipsy? Do you subscribe? Think that you might like to? Please do tell. Thank you so much for reading my wind bag nattering and perusing my many, many photographs. I hope that this was helpful to you and that you enjoyed it. Have a beautiful day. This bag was such a good one. Wish I woulda gotten in on it! wow, that lipstick looks uber lovely on you! It's weird that it is marketed as a balm yet it failed in the moisture department. It's still April ;) You're not too late! Hey! Can you get me off Ipsy's waiting list?! I WANT NOW! When I signed up, they put me on the waiting list then gave me an option to hop ff by doing a Facebook share with their link. It felt a little spammy to me but I did it to get taken off the wait list, right away. Didn't they offer you that option? Thank you. :D I don't know what it is but I am going crazy for bright lippies. I can't get enough. So far I have been loving my Ipsy way more than that of Birchbox. however I am jealous I want a Lollitint sample, I got Benetint which I already have anyways. lol... Great post! 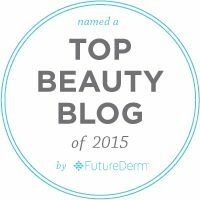 Lots of great products to try out. I like the lip stain. I swear I am going to start up with them again. The bags I have been seeing lately have been too good! Like you, I rarely get the nail polish option, and I wonder why! You got some fun stuff, though! I am really wanting the Lollitint! I just need to subscribe already! 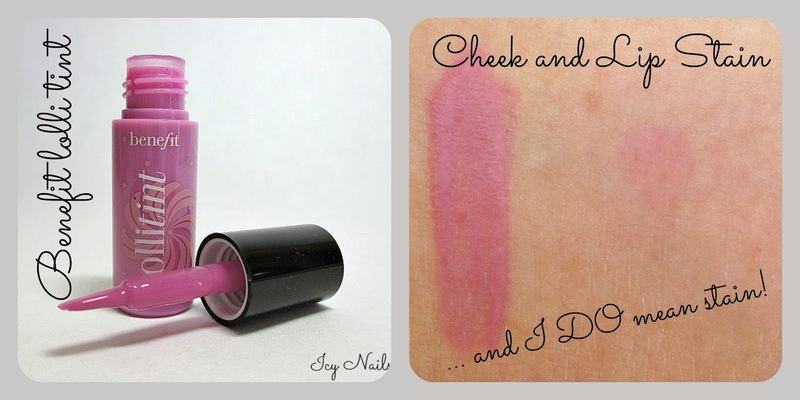 The Cailyn Tinted lip balm has really great shade! so jealous you got acid pink! Looks great on you! Ooh - that Acid pink is gorgeous. You got a great bag girl... I wanted to try lollitint. I just got my bag the other day. That pink is stunning! I love this bag! I've seen a few reviews on this set. I love that bag! Disappointing that the lollitint gets sticky... I've heard such great things about it! I wanted lollitint but I'm really happy with my bag this month. i LOVE that black eyeliner. I never even realized my black kohl pencils weren't perfectly matte till I tried this. I wish I'd received the Lollitint -but after reading your thoughts, maybe it's a good thing I didn't! The grass is always greener... :D I really wanted the nail polish that others received in their bags. I would be happy to get polish, every month! I dig that pink lippie colour. I need to figure out how to wear it to not dry out my lips. Yep. This bag was an odoriferous little sucker. I deep sixed it. :P My liner was good. Nice and creamy and easy to use. I'm sorry that you got a bum one. Maybe Ipsy would replace it for you, if you e-mailed them? I really like Cailyn cosmetics. Their liner is so good.